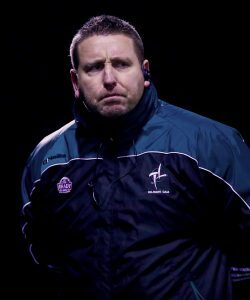 KILDARE manager Cian O’Neill is facing a selection headache ahead of the first game of the new National League season on Sunday 27 January against Armagh in St Conleths Park. For a variety of different reasons, O’Neill will pick his first league team of the season without nine players who featured in the last game of last season against Kerry, plus also Daniel Flynn who missed that game through suspension. Kevin Flynn has a fractured bone in his foot and is out of the first three league games of the season at least with O’Neill hoping that the Celbridge man will back available for the game against Clare in late February. 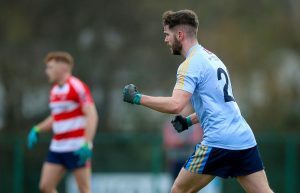 Paddy Brophy is currently nursing a hamstring injury and is likely to miss this weekend’s Sigerson Cup tie for Maynooth University and the Armagh game at least. On top of all that, Neil Flynn and Mick O’Grady will serve their suspension after being sent off in Killarney against Kerry. O’Neill named a 39 man squad for the O’Byrne Cup and that has been cut to 35 after John O’Toole and Brian McLoughlin withdrew themselves before Christmas due to personal reasons and Paschal Connell and Padraig Fogarty were released last week. With Kelly, Healy and also Mark Sherry on duty with Two Mile House, it leaves Kildare with a panel of 32 at the moment. 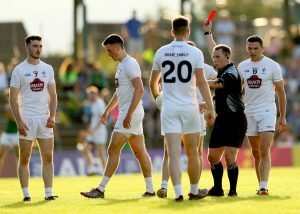 The injuries and suspensions mean O’Neill has 28 available players heading into the Armagh game but Kildare’s situation is further complicated by Maynooth’s involvement in the Sigerson Cup. While Mark Dempsey and Conor Hartley (UCD) and Aaron Masterson (Garda College) played in the competition during midweek – Jason Gibbons, Mark Hyland, Kevin O’Callaghan, Jimmy Hyland and David Malone are on duty for Maynooth in Belfast against Queens University on Sunday. Not only does that rule them out of a training weekend with Kildare just seven days before the first game of the season, if Maynooth lose that game they will play again just three days later thanks to the new backdoor system in the competition. It is far from an ideal situation for O’Neill as Kildare look to hit the ground running in their bid for an immediate return to Division 1. “It’s not on,” said O’Neill. Although a fan in general of the Sigerson Cup, the Kildare boss is deeply unhappy with the new format of the competition. “They obviously haven’t learned from the debacle that was the fixtures last year. The fact, first and foremost, that there is a game at the weekend, I was involved with college teams for 13 years straight in UL so I know all about the tournaments and I am a big fan of how they help the development of young players, and we always have a good understanding about releasing players during the week like we did with matches on Wednesday and Thursday last week. But to actually have a college match on the weekend, which is generally there for county teams to prepare when lads aren’t coming from work, puts massive pressure on the players number one because they are missing our last daylight training session before the league. Then from our point of view, we are down five or six players for our last real work session. If they (Maynooth) win they leapfrog into Round 3 but this is the first year ever that there is a backdoor, all of a sudden, even though there were issues with fixtures in other years they have added another round, it’s just bizarre,” said O’Neill. On top of that, there is also uncertainty over whether the playing rules that were used in the O’Byrne Cup will carry into the league. A final decision was due to be made on Saturday and O’Neill changed Kildare’s training schedule so that they could get an extra session in once everything was confirmed. “We like to train on Saturdays so we can give the lads the weekend off after that but we just couldn’t this weekend. We’ll train on Sunday so that we know exactly what we will be facing next week. “I honestly can’t get my head around it. The rules are the rules and I can understand why there was a motivation for change and we have to accept that whether we like them or not. I just think the way that the whole thing has been handled has been less than satisfactory to say the least. I think that is what most managers are most unhappy with, even though some aren’t happy with some individual rules. The fact that we only find out eight days before our first game, seven days for some teams, and then no matter what happens at the end of the league we are throwing them out and going back to the normal rules is just crazy,” said O’Neill.